Pulsar was a stacking machine!" 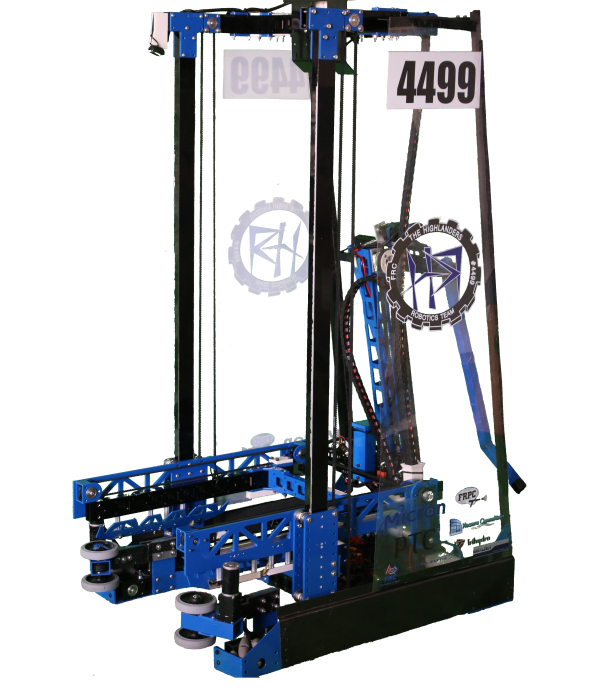 The Highlanders are proud to introduce our 2015 robot Pulsar. The Highlanders build a robot to rule the landfill. We also created 3 3 tote auto that could stack just in time! Auto: Three totes stacked in auto zone. 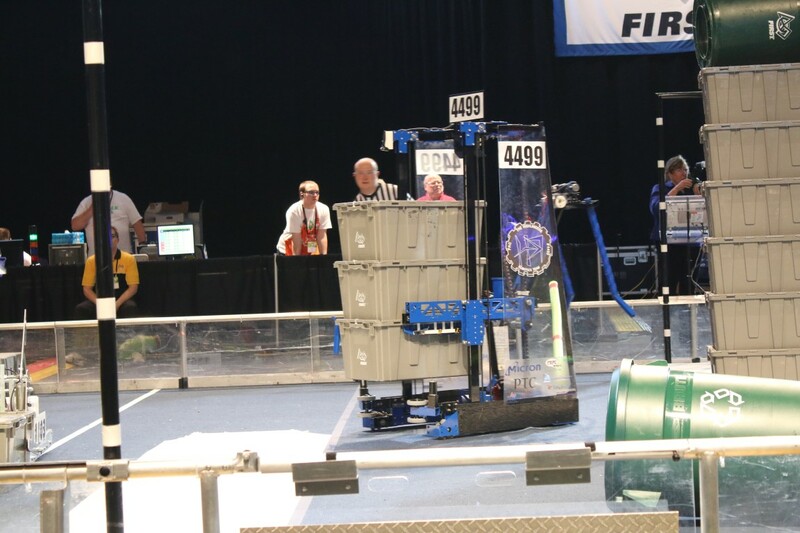 During the remaining two minutes and 15 seconds of the match, called the Teleop Period, robots are controlled remotely by student drivers located behind the walls at the ends of the field. Teams on an Alliance work together to place as many totes on their white scoring platforms as possible. Alliances earn additional points for recycling containers placed on the scored totes, with containers at greater height earning more points. Each match begins with a 15-second Autonomous Period in which robots operate independently of their drivers. 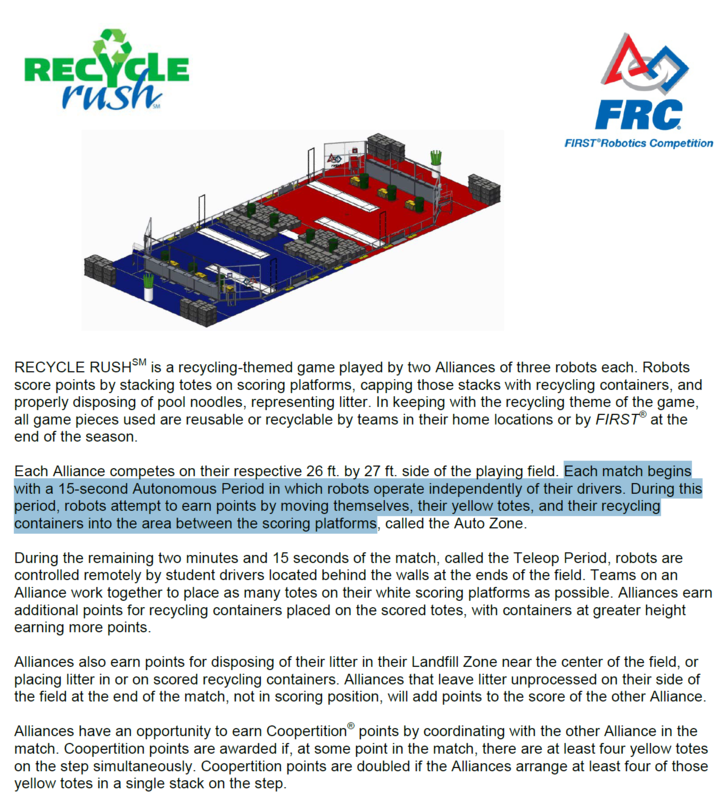 During this period, robots attempt to earn points by moving themselves, their yellow totes, and their recycling containers into the area between the scoring platforms. Our 2015 season was great. We attended 2 regionals and the World Championship. This year we built a robot that would stack from the landfill. We also focused our design on a 3 tote aautonomous. In addition, we built a can stacker that could top a 6 stack! 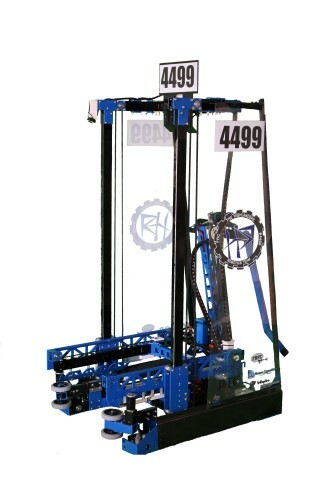 This season's robot was a stacking machine!